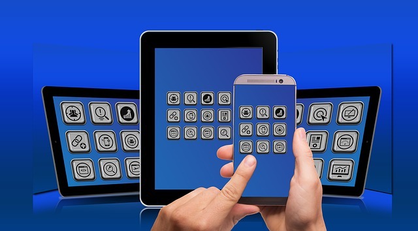 More and more companies are entering the mobile application marketplace. Why you ask? Consumers are making a shying away from desktop and laptop computers and are surfing the web, watching videos, checking email, and conducting business on their mobile tablets and/or smartphones. Some companies are able to offer all they need to offer on a mobile-optimized website. However, many recognize the need to build their own applications to support the needs of their customers, or to appeal to potential new customers. Application technologies have become more widespread and as a result, more IT (and non-IT) professionals are entering the workforce with coding and DevOps skills. Because of this, a lot of businesses are building their own applications in house. In order to do this, IT and/or DevOps teams (often they are one in the same) have to buy physical servicers, and then size, provision, and scale them. As user adoption rates increase, server space needs to be expanded. In addition to creating the applications and managing the servers, teams have to manage operating system updates, apply security patches, and monitor and maintain their entire application back-end to ensure optimal performance and availability to users. Mobile applications present a unique challenge, or an opportunity depending on how you look at it. Many mobile apps have options for data input. Users can upload photos or video to apps, or they enter information that needs to get processed and stored for future use. As an application grows in popularity (and in user base), it requires more storage on the back-end to support the influx of users uploading content or inputting data. With applications built and hosted in-house, you constantly need to update and expand your server capacities while maintaining your application code. This requires a lot of man-power to monitor and maintain systems while also building and improving on your application. AWS Lambda is a service by Amazon Web Services that allows users to run code without having to provision or manage servers. Users simply upload code to AWS Lambda for almost any type of application or backend service, and Lambda takes care of the rest. Once the code is uploaded, Lambda automatically scales and provisions a variety of AWS services including Amazon S3 Buckets and Amazon Dynamo DB Tables and it manages all capacity, scaling, patching, and administrating the infrastructure needed to run code for applications. Lambda responds to in-app activity and object uploads such as photos or videos and adjusts accordingly. your application’s status. These reports along with other analytics are available through the Amazon Cloud Watch dashboard. Are you interested in building your own applications in-house and need assistance in setting up your application infrastructure on AWS? Call Privo IT today.